Chris has received significant recognition and awards during his career. These include: 1970 Recipient of The Prince Philip Prize for Australian Engineering Design; 2004 Recipient of The Warren Centre for Advanced Engineering (Sydney University) Innovation Heroes Award for engineering development in mineral processing; 2009 Recipient of the Sir Ian McLennan Achievement for Industry Award; 2112/2113 Recipient of the MITA AWARD (Mineral industries Technique Award), from The Australasian Institute of Mining and Metallurgy and 2016 Recipient (through IMPTEC ) of the South Australian Chamber of Mines and Energy Award for Innovation in the Mining Industry. Chris Kelsey took the concept of jigging with high G-forces from invention and practical R&D to commercialisation, resulting in today’s Kelsey Centrifugal Jig (KCJ).The KCJ was developed in the early 1980s and is now in use in eight countries on a range of minerals. The early development was supported by CRA, which tested the first commercial prototype at its Wimmera mineral sands project near Horsham, Victoria in 1991. Funding was then by Geo Logics who ultimately took on the commercial development and marketing of the jig. The first truly commercial installation was achieved, with practical operating and maintenance input by staff, at Renison Tin in Tasmania in 1992. By 1995 there were 36 machines operating at 28 mine sites. In 2001 Geo Logics was bought by Roche Mining which became Downer EDI Mineral Technologies, and he was retained by them as senior consultant till 2014. 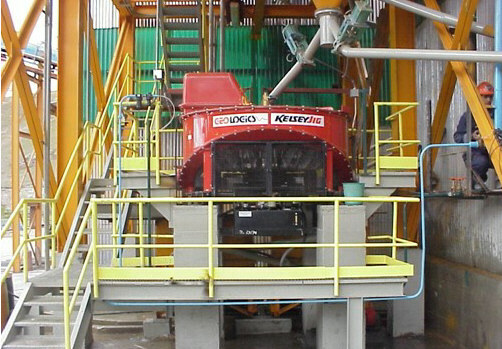 By 2006 the jig was processing about a quarter of the world’s tin and in 2010 there were 42 Kelsey Centrifugal Jigs operating in eight countries operating on tin, mineral sands, gold, nickel, tantalum and wolframite. Chris has remained closely associated with the development of the jig since its invention in the early 1980s. In that time the machine has had numerous refinements not just in terms of separation efficiency but also in relation to operational and mechanical robustness. The Kelsey Centrifugal Jig remains the only high gravity (up to 100 G) continuous operation jig which is commercially available. 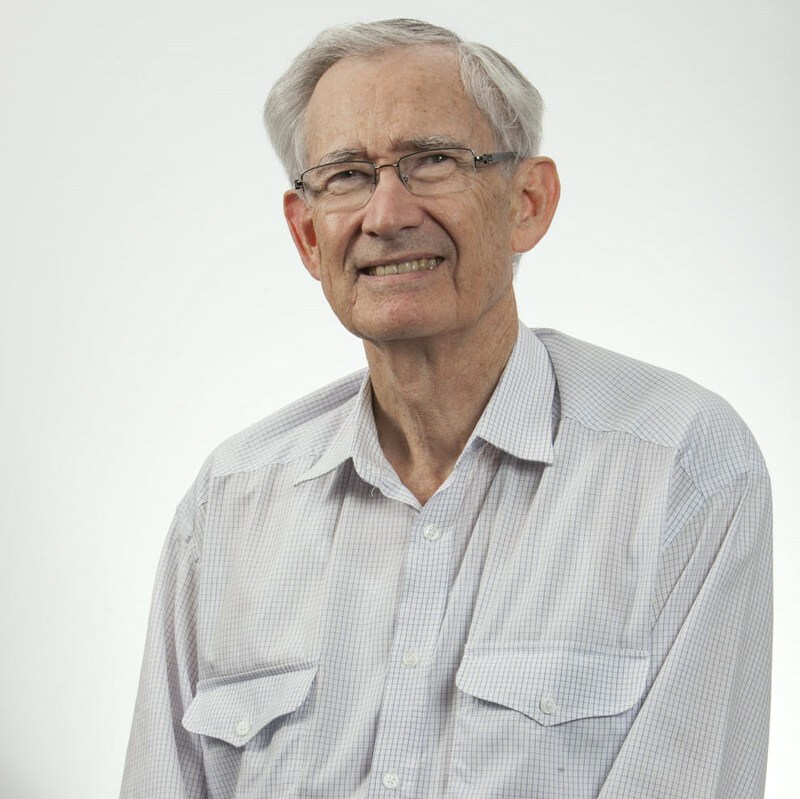 At the age of 81, Chris’s current interest is in lowering processing costs in the minerals industry, conducting innovative research into superfine crushing. This work is extending the boundaries of low cost crushing technology into the ultrafine size range – in particular converting -10mm size particles into a product where 95% is less than 36 microns. This is done in one pass. 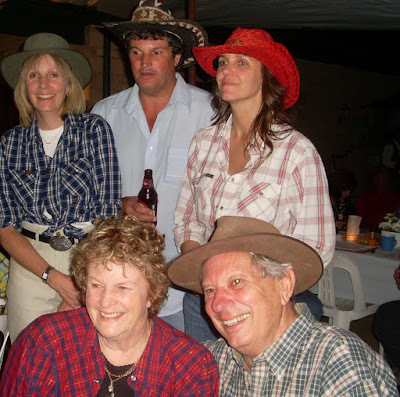 Chis Kelsey was born on 17th June 1935 in the little town of Woodside in the Adelaide Hills. 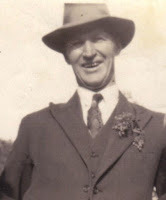 He is a true Aussie, his great-great grandfather having "emigrated" to Australia in 1830 courtesy of England's King William IV, and sentenced to 14 years in the Port Arthur Penal Colony in Tasmania. Chris's father, a chartered accountant, was born in 1892, and his mother, a concert pianist, in 1910. With his parental background, what made him become an engineer? Chris says that from a very early age he always knew that he wanted to be an engineer, as "an engineer to me, drove massive steam locomotives. My maternal grandfather, who was in charge of the railway workshops in Port Pirie, encouraged this belief. At aged 7, and my brother aged 6, we were fortunate to spend our holidays riding around the shunting tracks in an RX shunting steam locomotive, eventually returning to my grandfather’s house black as the ace of spades. Fortunately my brother followed my father into accountancy". "My father was a remarkable man, who reached the highest level in accountancy. 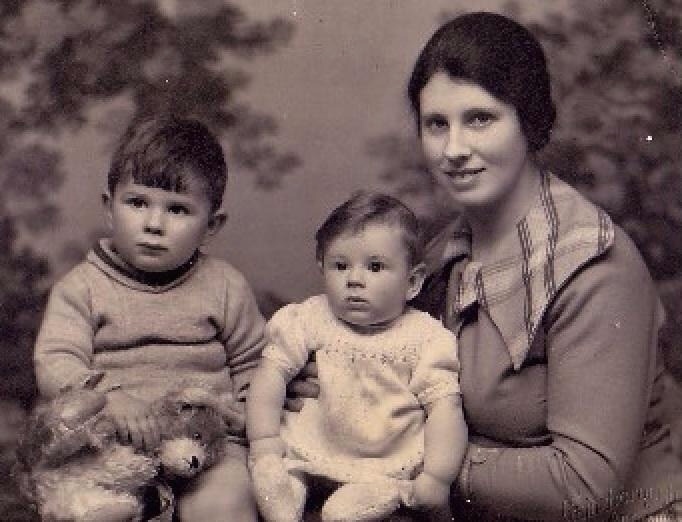 He was crippled at 14 with polio and at 16 was run over by a truck, so he was unable to walk. By all standards, he was a very patient man, as almost every piece of equipment that was dear to him, ended up in pieces as a result of my insidious enquiring mind", said Chris. "When no one was looking, at age 10, I taught myself to drive in one of my father’s vehicles, a 1928 Dodge buckboard. I then, at age 12, secretly graduated myself to my father’s ford 10 Prefect, and drove it down the main street of Balhannah in South Australia. Unfortunately this turned out to be a mistake as an elderly spinster reported me to the local police. There was a tense interview with the local policeman and my father with myself the centre of attention. Looking back now, I realise they were both smiling behind that terse lecture, and I rather think my father was actually proud of me". "So at aged 16 my father signed me to an indentured 5 year apprenticeship with the Chrysler Corporation. For this I have been eternally grateful as it laid the foundation for all of my schooling and engineering practical knowledge. 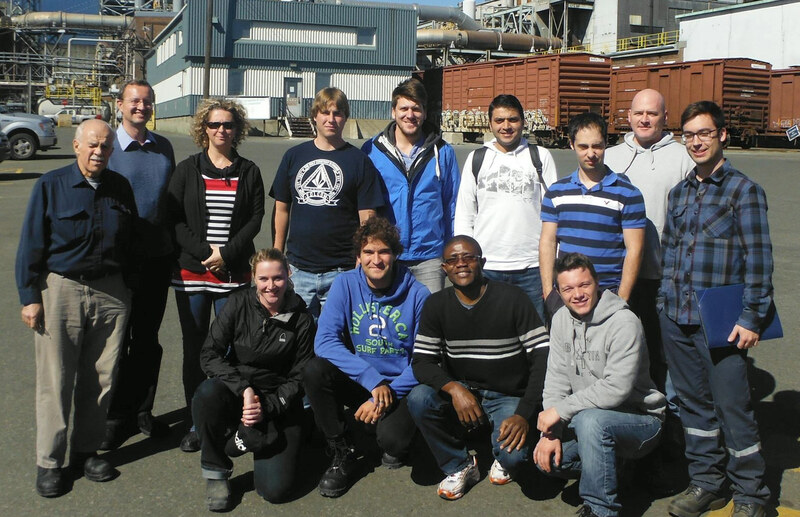 Most of the apprentices that served their time with me, went on to be company executives, some as chief engineers". Chris commenced his working life in 1951 with the Chrysler Corporation, and later was co-founder of Rorlach Kelsey Lyons and Associates providing design services to the automotive industry and the Weapons Research Establishment (Ikara Missile Project). He designed the IBES Automotive CAD CAM 3D systems for Ford in 1967, Chrysler in 1968, a Boeing contractor and Fuji Heavy Industry. 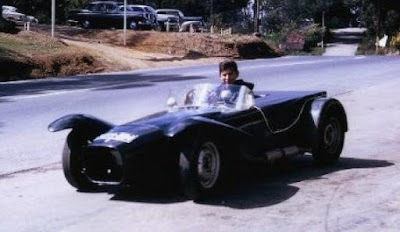 Cars have always played a big part in his life, and he says that he always "had a thing for sports cars". In the photo below in 1969 he is in a very rare vehicle, and his "pride and joy", the First Elfin race car made. 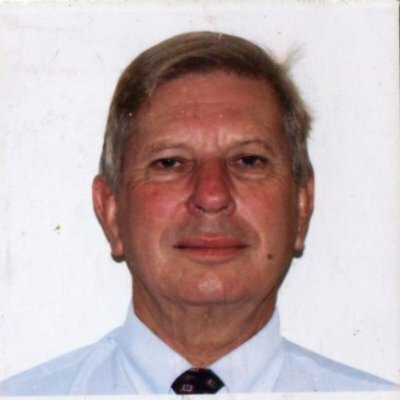 In 1971 he was Operation Works Manager and Director of Heavy-Mech Engineering which manufactured large hydraulic, mining and industrial equipment components and in 1976 he became Senior Engineer and Acting Manager Milling Operations for CRA Bougainville Copper and led their concentrator expansion. "Coming from a cool climate into 6 degrees below the Equator took a while to adjust, however the island was absolutely beautiful with fantastic tropical beaches. and the mine was impressive being only a couple of years old when I first arrived. Rio put in the best available that money could buy" he says. While at Bougainville, a few like minded characters decided to form a jazz band to entertain the residents. Chris says that it was an odd assortment, from mining engineers, metallurgists, engineers and qualified trades guys including the company pilot. 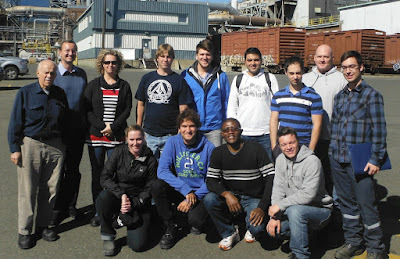 Rob Morrison, the mill metallurgist, now with JKMRC, was a staunch member. Chris Kelsey, the band leader on clarinet, and Mike Furstner on alto sax. After Bougainville, in 1982, Chris set up and was Technical Director of GeoLogics and went on to develop the Kelsey Centrifugal Jig, inspired by the fact that gold was escaping into the flotation scavenger cleaner tailings at Bougainville, which he believed could be recovered by enhanced gravity. His son Simon now owns Kelsey Engineering where all the development is done, and Chris and his wife Diana also have two daughters, four grandchildren and six great grandchildren. All in all a wonderful success story of an exceptional Australian family. It has been great finding out about the man behind the Kelsey jig! Mill Operators Conference 2016- how was it for you? Comminution in the 21st Century- will SAG mills still be relevant? MEI is proud to be a media partner for the XXIX International Mineral Processing Congress, which will be held in Moscow, Russia on September 15-21, 2018. The website for the conference is now up and running, and there is a call for abstracts, which should be submitted by 1st September 2017. This will be the first time that an IMPC has been held in Russia, and the organisers expect over one thousand professionals and academics from all over the world to attend and exchange knowledge and experience, to present the results of scientific research and to discuss innovations in the mineral processing industry. The scientific program and exhibition will run for 4 days, September 16-19, followed by two days of cultural and technical tours. Barbara and I spent some time in Russia in 2007 and Moscow was the highlight. We strolled freely around the city, with its first class restaurants and wonderful historical sites, and I would highly recommend visiting St. Petersburg first and then taking the overnight Grand Express sleeper train to Moscow. Froth flotation, despite being patented over 100 years ago, is still the most researched area of mineral processing, highlighting its importance not only to the minerals industry, but to society in general. It has often been claimed (OK, mostly by me) to be the most important technological development since the discovery of smelting. 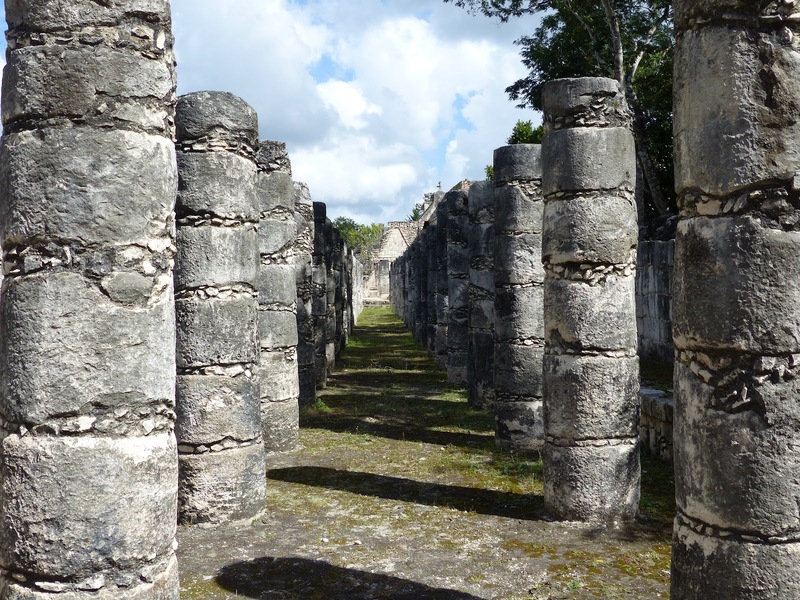 It would be hard to envisage a world without flotation, which is essential to the economic production of the metals and minerals on which civilisation depends. MEI's flotation series of conferences, which began in Adelaide in 2000, have now become the benchmark events, attracting the leading researchers, operators, equipment and chemical manufacturers from around the world. 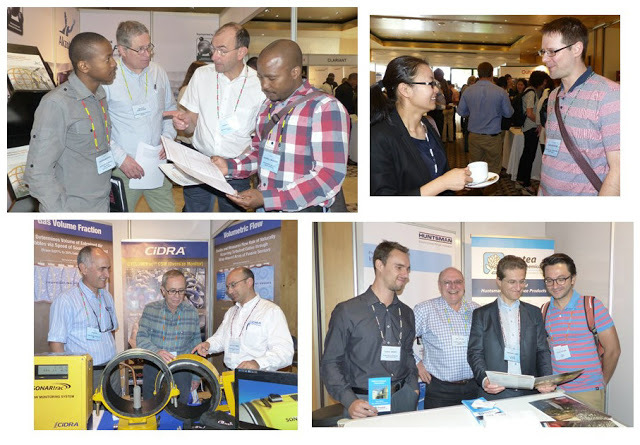 Flotation '15, held in Cape Town, was the most succesful in the series, with a record number of papers, sponsors and exhibitors, showing that progress in flotation innovation and research shows no signs of flagging. We are now calling for papers for the 8th conference in the series, Flotation '17, which will be held at the Vineyard Hotel again in Cape Town. Already we have two well known and eminent keynote lecturers, Prof. Roe-Hoan Yoon of Virginia Tech, USA, who will speak in the Fundamentals Symposium, and Bill Johnson, of Mineralis Consultants Pty Ltd and Adjunct Professor, University of Queensland, Australia, who will present in the Applications Symposium. If you would like to present a paper, short abstracts should be submitted by the end of May next year. If accepted, draft papers will be required before the conference, which will be included in a Proceedings USB. After the conference final papers will be invited for submission to a special flotation issue of Minerals Engineering. Companies at past conferences have found that exhibiting at the event provides great marketing opportunities, as the exhibition area is the location for coffee and lunch breaks. There are also attractive sponsorship packages which provide great exposure. We look forward to seeing you at Flotation '17. November is a great time to visit Cape Town, so bring your families, stay on a little and enjoy all that this wonderful region of South Africa has to offer. Friday is seminar day in the Chemical Engineering Department at the University of Cape Town, with back-to-back seminars for the Centre for Minerals Research (CMR), and the Centre for Bioprocess Engineering Research (CEBER). Recently CMR, CEBER and the Minerals to Metals Initiative (MtM) got together for a virtual seminar with Zeiss in the UK. The virtual seminar was presented from Cambridge by Dr Ben Tordoff and Shaun Graham of Zeiss, and James Strongman and Dr Chris Brough from Petrolab in Cornwall, UK. The idea formed at the MEI Sustainable Minerals '16 conference in June when Prof Dee Bradshaw (Director MtM) and Prof Sue Harrison (Director CEBE) met with Ben, Chris and Shaun to discuss new developments at Zeiss and the potential for research interactions between the groupings. This led to the concept of a webinar allowing UCT based researchers, and postgraduate students the opportunity to “Explore the 2D and 3D Mining World”. Each of the three presentations given in the webinar gave very different aspects to process mineralogy covering the technical, environmental and practical - operational. The first presented on the technical capabilities of the 2D Zeiss Mineralogic for automated mineralogy and the 3D Zeiss X-ray microscopy allowing users the ability to look inside rocks. The second presented on the application of process mineralogy in acid rock drainage (ARD) characterisation, and the third on ‘operational mineralogy’ as a case study for the implementation of on-site mineralogy using a case study from a copper mine in Zambia. Dr Megan Becker of CMR, and consultant to Process Mineralogy '17, said "it was really encouraging to see our UCT graduates as fully fledged professionals in industry – Dr Chris Brough having been the first postgraduate student in process mineralogy at UCT (MSc 2008) and then Monica Kalichini (MSc 2015) and Tamara Habile (BSc Chem Eng. 2013) who are the proud operators of the Zeiss system currently installed at the Zambian copper mine site highlighted in the case study. Likewise, Tamzon Jacobs (MSc 2016) is part of the process mineralogy team at a sister copper mine in Zambia (also owned by the same parent company), the three girls routinely working together". Special thanks go to Gaynor Yorath (UCT) and Randall Crisp (Zeiss South Africa) who ensured that connectivity was in place in Cape Town for the webinar. The webinar is the first of many and is hopefully paving the way for future research collaborations where distance is effectively ‘no barrier’ to process mineralogy. The webinar will be followed up with a dedicated workshop exploring the opportunities of XCT, just prior to the Process Mineralogy '17 conference in March next year. Both Zeiss and Petrolab are sponsors of the conference. Unfortunately I could not make it to the November Cornish Mining Sundowner on Thursday evening, which was held in the wilds of Cornwall, at St. Just near Land's End, one of England's most remote villages. 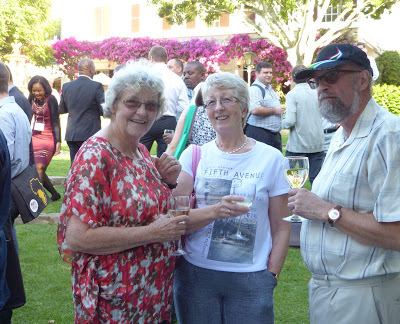 However, I thank sundowner regular Nick Slade for this report, and photo of those who braved the long journey. 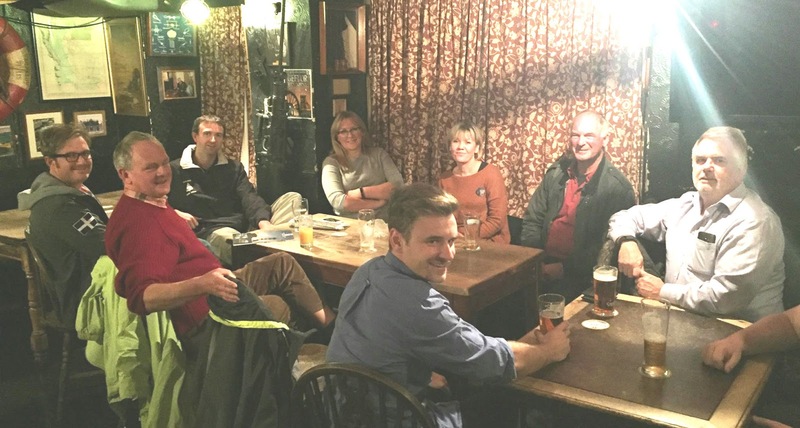 Nine of us made a happy throng at the Star Inn, St. Just for this month's Sundowner. This included Nick Wilshaw, Jack Carr, John Rumbles (sorry for chopping you off the photo), Bentley Orchard, Dennis Murphy, Sam Hughes, Claire Yelland, Steve Wilson, Sarah and I. All from afar (Redruth, Camborne, Truro, Porthleven, Helston and Falmouth). Hopefully next time, we might have a few locals join us. Touching on a little relevant history - note the Holman Stoper drill to the right hand side of Steve Wilson (who is 3rd left) in the photo. Made in Camborne, the Holman's Silver 3 Stoper drill represented a great advance on the earlier pneumatic drills. It was much lighter (44kg) and more compact than earlier drills and incorporated a telescopic 'air leg' which pushed the drill upwards. This is the first pub we have found with some 'air tools' in it. St. Just and the area has a strong mining history and was during the 19th century one of the most important mining districts in Cornwall both for copper and for tin. Mines within the area included Boscaswell Downs, Balleswidden, Parknoweth, Boscean, Wheal Owles, Wheal Boys, Levant, Botallack and Geevor. The boom in 19th-century mining saw a dramatic increase in the population of St. Just, the 1861 census records the population figure as being 9,290, however like other areas in Cornwall the population declined with the collapse in the tin trade in the 20th century. The town also suffered from the decision of the Great Western Railway to abandon its plans to make St. Just the terminus of the London mainline to Cornwall. Since 2006 the St. Just mining district became part of the Cornwall and West Devon Mining Landscape World Heritage Site. Just to add, we did have to hunt around the Market Square to find some food. The chippies were shut when we left the pub. Another pub couldn't do 7 of us for food, but The Commercial Hotel pub did and the food was bloomin' good. We are pleased to welcome back Chilean consultancy company Promet101 Consulting as a sponsor of Flotation '17. Delegates from the company attended and sponsored their first MEI Conference, Flotation '15 last November. 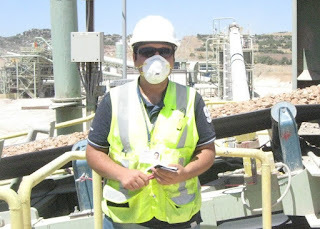 Promet101 is also the Chilean agent for Blue Cube Systems (Pty) Ltd of South Africa, a technology company focussed on real-time in-line instrumentation for the minerals processing industry and a regular at the Flotation Conferences. As always Flotation '17 will feature two discrete symposia, on Fundamentals and Applications, and short abstracts for the symposia should be submitted by the end of May. Good to hear that two of MEI Conferences keynote lecturers, Joe Pease and Dr. Bill Johnson, will be inducted into the International Mining Technology Hall of Fame in the Comminution category at the gala awards dinner in Denver on February 20th, during SME Conference week. Joe was a keynote speaker at Comminution '16 earlier this year, and Bill will be presenting a keynote at next year's Flotation '17, emphasising the intimate link between comminution and flotation. Full details can be found on MEI Online. I was pleased to see that Prof. Alban Lynch was inducted into the Australian Prospectors & Miners' Hall of Fame earlier this month (MEI Online). This good news was tempered, however, by the sad news that Alban's wife, Barbara died just a few days later. All of us at MEI offer our sincere condolences to Alban and his family on their loss. Earlier in the year I published an article on the blog entitled Let's start to take bad science seriously, which generated a lot of interest, as I hoped that it would. It also increased awareness of the problem, which has been evident in papers submitted to Minerals Engineering, and also thanks to the vigilance of our Associate Editor Dr. Pablo Brito-Parada. Now to supplement this posting is a thought provoking video, brought to my attention by Dr. Dee Bradshaw of University of Cape Town. I shall not attempt to summarise it, but I would suggest that anyone interested in research publication and the scientific method takes a close look at it, and hopefully comments on its content. An interesting discussion. It took me to my bookshelf and "Statistics for Experimenters" by Box and Hunter (1979), a book that I have used since the early eighties. Chapter 1, "Science and Statistics" offers a worthy discussion on the importance of experimental design and proper data analysis, and cautions as to the danger of incorrect data interpretation. One point that the YouTube clip did not make was taught to me by Isobel Clark: "Make sure that you understand how the data are naturally distributed before you assume a Normal Distribution". Then tailor your approach accordingly. In the field of flotation tests we are invariably dealing with small data sets rather than large ones, so one has to be cautious of the quirks and characteristics of these data. A good example is the Bessel correction to the sample standard deviation to compensate for the underestimation of this parameter by small data sets. 1. Despite the pitfalls, the use of a P-value in a hypothesis test is still massively better than guesswork which is what our profession has often indulged in in the past. Looking at two unreplicated grade-recovery curves plotted according to Excel’s scaling rules and deciding by eye that they represent different metallurgy is not acceptable any more. 2. Fisher’s recommendation of P = 0.05 as a decision level was not ‘arbitrary’ as the video says, but a carefully considered compromise based on Fisher’s extensive experience at Rothampstead of designing and analysing agricultural experiments, which have a lot in common with mineral processing experiments: eg small samples and noisy data. I discuss his full quote in my stats course to explain the background to the choice of 0.05. And I also make the point that Fisher is dead so we can choose whatever hurdle rate we like as long as we understand exactly what P implies, which many people don’t. 3. In my view (and I also emphasise this in the course and my book) decision-making using P-values should always be complemented by calculating and quoting the confidence limits on the effect found in the experiment, eg the improved recovery was 2% ± 1% with 95% confidence, and we are 95% confident that the improvement was at least 0.5% (the worst case scenario), as well as saying that because P = 0.03 then we are 97% confident that the improvement was not zero (we reject the null hypothesis with a 3% chance of being wrong in doing so). This idea has now been re-discovered and called ‘The New Statistics’ (and a book written about it) as a way of de-emphasising P-values. I believe that they should all be used together to get a full picture of the result. 4. As the video said, the key to a good experiment is power, ie enough repeats to achieve an acceptable chance of detecting an effect if it is really there. “n is king”. 5. People always underestimate the malign effect of random behaviour. To illustrate the point, in my book (page 117) I quote the example of an experiment in which repeat leach tests (it could as well be flotation, to keep Dee and Norm happy!) are conducted to determine whether some change in conditions can increase extraction (recovery). Simple calculations show that if in truth there is no difference between the two conditions, then if the experimental error of the experiment is 1% (a low figure) there is still a probability of about 8% of getting a recovery difference as high as 2% by chance. If the experimental error is 4% (high but not rare) then the chance of getting false positives increases to 36%, ie over one third of experiments will produce a spurious improvement. This is why we need to have adequate sample sizes to minimise the chance of the wrong decision. 6. Expectation bias (preferring results that comply with our prejudices) and the arbitrary removal of inconvenient data is still a problem in some cases. 7. Norm (Lotter) rightly makes the point about the nature of the data distribution. However large samples can mitigate this effect thanks to the central limit theorem. So, Norman and Tim have kicked off the discussion. More views would be welcome. Published in September by Cambridge University Press, this guide will be of interest to many flotation scientists working on froth stability. 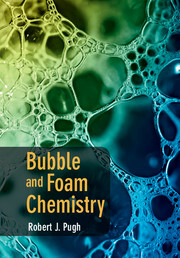 Written by Robert J. Pugh, of Nottingham Trent University, UK, it will equip the reader with a thorough understanding of the field of foaming chemistry. Assuming only basic theoretical background knowledge, the book provides a straightforward introduction to the principles and properties of foams and foaming surfactants. It discusses the key ideas that underpin why foaming occurs, how it can be avoided and how different degrees of antifoaming can be achieved, and covers the latest test methods, including laboratory and industrial developed techniques. Detailing a variety of different kinds of foams, from wet detergents and food foams, to polymeric, material and metal foams, it connects theory to real-world applications and recent developments in foam research. Combining academic and industrial viewpoints, this book is the definitive stand-alone resource for researchers, students and industrialists working on foam technology, colloidal systems in the field of chemical engineering, fluid mechanics, physical chemistry, and applied physics. As you will be aware, over the past few years I have been interviewing leading luminaries in the mineral processing field, eminent people who have had illustrious careers in our profession. After discussion with my MEI partners, we felt it would be a good idea to conduct short interviews with young people who have particularly impressed us, and who are just starting out on what we hope will also be illustrious careers. The first person in our Rising Stars series is Ahmet Deniz Bas, of Laval University Canada, who first came to my attention via his active involvement with social media (Twitter @adenizbas) and his own interviews with leading mineral processors, which are published in MEI's People News North America and People News South and Central America. I met Deniz at the IMPC in Quebec, where he was presented with the 2016 Gordon M. Ritcey Award from MetSoc, for outstanding accomplishments in the pursuit of a graduate degree in hydrometallurgy, the first person from Laval to receive this award. As will be the format for all the forthcoming interviews, I asked him what inspired him to take up a career in mineral processing, what he has been involved with lately, and what are his plans for the near future, and his aspirations for the long term. Deniz, who is 30 years old, obtained his BSc in mining and minerals engineering and MSc in mineral processing (in the field of hydrometallurgy) from the Mining Engineering Department of Karadeniz Technical University (KTU), Turkey, under the supervision of Prof. Haci Deveci. He is now a final year PhD candidate in Metallurgical and Materials Engineering at Laval University under the supervision of Prof. Edward Ghali. He is in the final stage of his project, currently writing up his dissertation and papers based on his results. He has so far co-authored 11 SCI journal papers, 12 conference papers, 5 other peer-reviewed journal papers, 2 translations, and 7 interviews with well-known people from academia and industry. During his Bachelors degree he obtained a scholarship from the European Union for the Erasmus-Socrates Exchange program to study one year at the University of Leoben, Austria, where he met many people in Europe from academia and from the mineral processing industry. 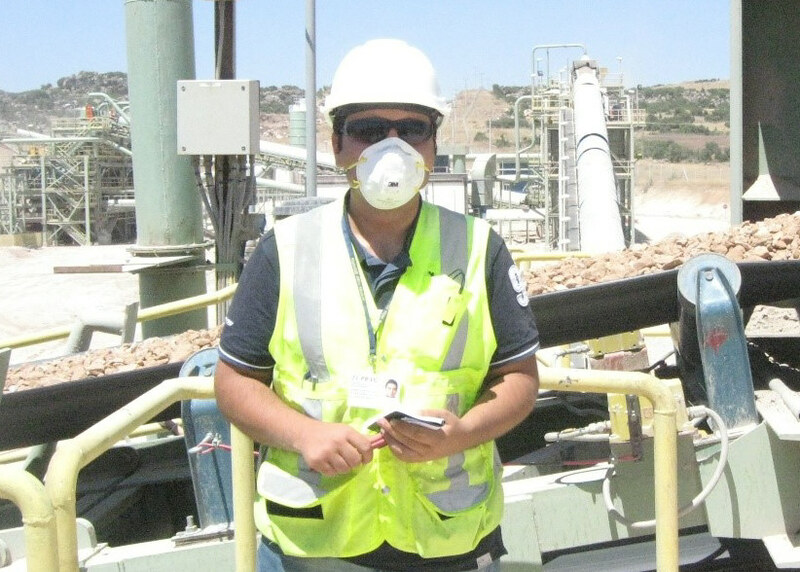 He then did an internship at Kisladag Gold Mine in Turkey, the largest gold producer in Europe (Tuprag Metal Mining of Eldorado Gold Corporation). Here he gained valuable experience in gold extraction including comminution, spending much of his time on heap leaching, ADR plant, electrowinning, and gold pouring. He says that this inspired him to start a career in this field. He completed his BSc graduation project on the recovery of silver from X-ray film processing effluents, which was then published as his first international journal paper in Hydrometallurgy. He then did his MSc on the extraction of base and precious metals from E-waste (particularly from scrap TV boards) by bioleaching and chemical leaching, and during his MSc started to work as a Research Assistant at KTU, demonstrating in a mineral processing laboratory module and supervising a number of undergraduate students in their graduation projects. He was also involved in various projects on the treatment of refractory copper-gold ores, and felt that he learnt much about experimental work from his colleagues Dr. Oktay Celep and Dr. Ersin Yazici of KTU. As a result of these experiences, he realised that he enjoyed acting as a mentor, and this was the driving force for him to pursue a career in this field. In 2011, he organised a conference entitled "New Frontiers in Gold and Silver Hydrometallurgy", with the participation of Prof. Fathi Habashi, at KTU in Turkey. As well as working on his PhD, Deniz has also been working on an interesting industrial project on the electrochemical dissolution and passivation of gold from oxidized/roasted gold ore, sponsored by NSERC, Barrick Gold Corporation, and Hydro-Québec. He was also involved as the “Poster Chair” in the organizing committee of the XXVIII IMPC. He says that this was a priceless experience as he had the opportunity to work with a professional team, sharpen his knowledge, and do some networking. I asked him about his plans for the future, and he hopes, after graduation, to do a post-doc on hydrometallurgical extraction of metals preferably in a gold mining company. He feels that Barrick Gold contributes immensely to the field being, for instance, the first company to commercialise the “thiosulphate gold extraction process”, which he has a great interest in. In the long term, he sees himself as part of a team developing innovative solutions for the industry. He would like to create more opportunities and better connections between universities and industry in terms of R&D projects and he aspires to develop his skills as a research professor. He says that it is very important to maintain connections with one's peers as long as possible and he believes that we should try harder to pave the way for young people to get involved in sharing and discussing their thoughts regarding the future of our field. It has been a pleasure talking to Deniz and we look forward to following his undoubted progress through the industry. 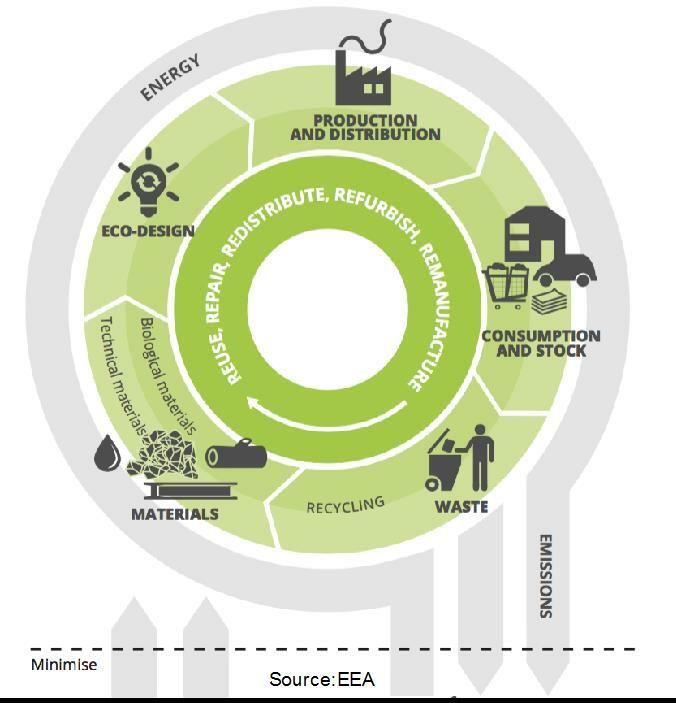 The "Circular Economy" has become a well known phrase in mineral processing conferences in recent years, primarily as mineral processing has a major role to play in sustainability and the move to the ultimate goal of the Circular Economy. MEI's next conference, Process Mineralogy '17, will open with a keynote address showing how process mineralogy is an essential booster of the circular economy. In 2018 two of MEI's established conferences will move to Namibia, an ideal setting for further developing the sustainability theme, and the unique combination of Biohydrometallurgy‘18 and Sustainable Minerals‘18 will provide key theoretical, applied and industrial input. 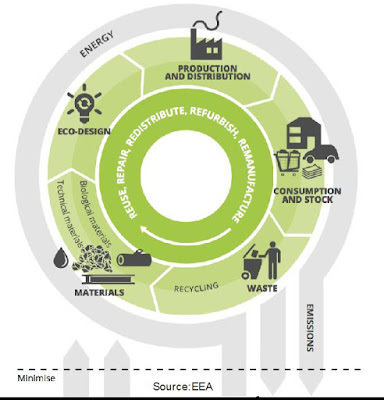 Figure 1 shows that in order to realize resource efficiency, the Circular Economy and industrial ecologies must be optimised within the constraints of energy usage. Thus input into the industrialised system must be minimized with the least possible loss of materials from the system. Emissions from the inter-linked processes and power generation must also be minimised. Jointly these aid the maximizing of the “closure” of the technology and biological materials loop. An in-depth understanding of the various underlying fundamental theory and technology for application enables the “closure” of the loop. Furthermore, a keen understanding of the entropy creation in the system must be understood. The linked conference series provide a platform to discuss the fundamental theory of biohydrometallurgy, minerals engineering and metallurgy as well as the processing of mineral wastes and minewater. These can be positioned in the context of the circular economy and industrial ecology applications, its processing technology as well as systems solutions. In these conferences, there is opportunity to focus especially on the fundamentally based tools required to quantify the impacts of various solutions from design for recycling (eco-design), processing and mining technology solutions through to integrated waste handling and the move towards both zero risk and zero waste. While the Biohydrometallurgy series is focused on the underlying bioprocesses fuelling resource efficient use of complex ores, low grade resources and waste materials, the Sustainable Minerals series superimposes the sustainable development and resource efficiency frameworks. The integrated detailed information across these conferences is key to providing information based on first-principles to companies as well as policy to best develop the business models that are required to innovate, develop and migrate from a linear to a circular economy. Of particular emphasis are the various end-of-pipe, mine tailings as well as mine & process water recycling processing solutions and innovations as well as the fully integrated approaches to process design for minimal or zero waste and risk. A combination of nature-based biohydrometallurgical and metallurgical processing methods are being explored to achieve results and innovations. Systemic solutions, as an essential integrator at the forefront of the solutions, are being reported. In summary, the idea that knowledge and technology of minerals and metals processing are key enablers of the circular economy and industrial ecology, both working toward resource efficiency, is the main paradigm this conference has been exploring over the years. Results of this have been, among others, published in Elsevier’s peer reviewed journal “Minerals Engineering” as can also be seen from the ResearchGate pages of the authors viz. Susan Harrison and Markus Reuter. We have been focussing on making these inter-linked conferences a key meeting of minds between experienced academics and industrialists in the field and aspiring and inspiring young scientists and engineers drawn from a range of disciplines. Through these conference series, we aim to develop a cohort that think Circular Economy, resource efficiency and industrial ecology and have at heart the drive to use our greatly important domain knowledge in a much wider context of the process thinking. Through this ingraining of the circular economy, resource efficiency and industrial ecology, a future devoid of thinking ‘in silos’ can lead us to new paradigms of innovation. This is of great importance to realize the circularity depicted by Figure 1. Barbara and I had planned to be in Cancun, Mexico for the International Mineral Processing Congress, IMEC 2016, but unfortunately the event, scheduled to start today, had to be cancelled due to lack of support. But what the hell, as BA offered us a pittance on flight refunds, we are here anyway, relaxing for 2 weeks at the impressive conference hotel, the Fiesta Americana Condesa, which will also be the venue for the Sustainable Industrial Processing Summit & Exhibition (SIPS '17) in October next year. I am not a particularly good tourist, and like to have a purpose to overseas trips, mixing a bit of business with pleasure. So I have been assessing the potential of this hotel as a possible future venue for MEI Conferences supplementing Falmouth, Cape Town and Windhoek. 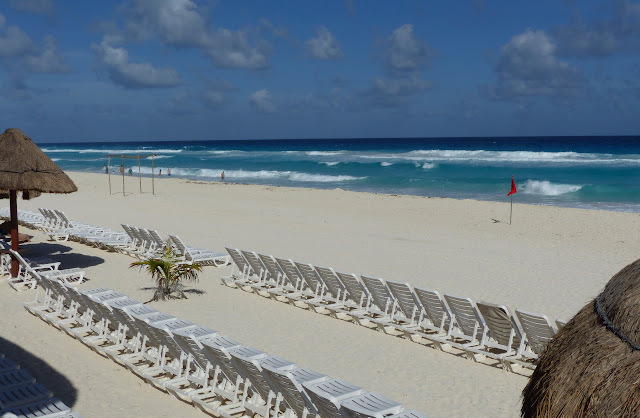 Mexico would be a great venue for many convincing reasons. 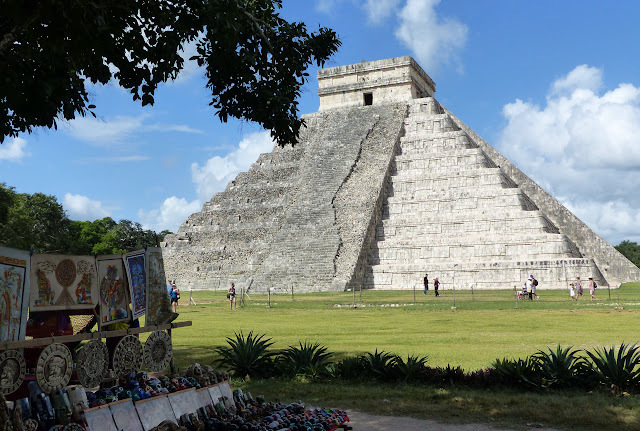 Apart from a beautiful long coral sand Caribbean beach, Cancun is close to Mexico's most famous archaeological ruin, the ancient Mayan city of Chichen Itza. Only a 2 hour drive away, the tours from the hotel account for over 12 hours, presumably because the large coaches pick up tourists from several hotels en route and then stop off for the inevitable long lunch at a local craft shop, whereby the tour guide rakes in a little commission. 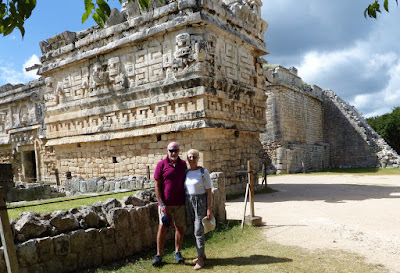 So to avoid tourist hell we decided to go with a guide, Lemuel, from a highly recommended private tour company, who whisked us to the site and then gave us a highly informative insight into this ancient city. 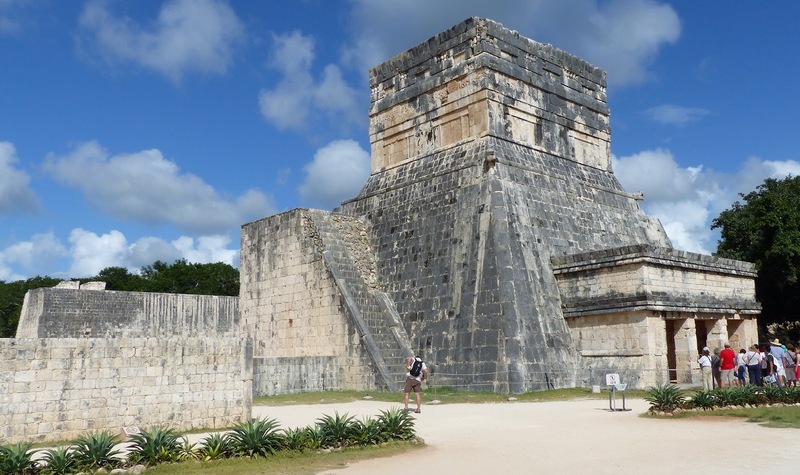 If you are attending SIPS '17 or just holidaying in Cancun, I would strongly suggest that you contact LDS Tours Cancun. A great photo below of a great team, reunited in Brisbane after many years. The names Tadimety Chakrapani (TC) Rao (posting of 16th July 2014) and Alban Lynch (posting of 11th August 2014)were synonymous in the late 1960s with the development of mathematical models of mineral processing systems. 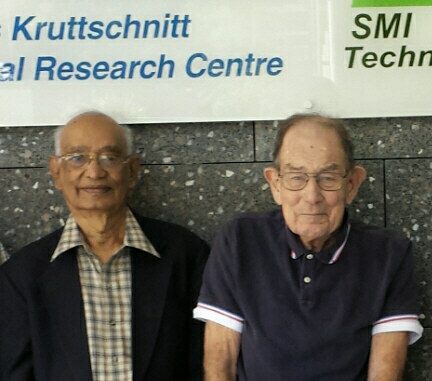 Prof. Rao obtained his Ph.D degree, under the guidance of Prof. Lynch in 1965, working on the characteristics of hydrocyclones. They published their work on hydrocyclones in a number of seminal papers, and the models are still valid today, being used in many hydrocyclone manufacturers' performance curves. TC attributes their on-going validity to their simplicity, involving parameters which can be easily measured, such as vortex finder diameter, spigot diameter, and can therefore be confidently accepted by operators. T.C. Rao was the first international PhD student of mining engineering at The University of Queensland (UQ) and on October 19th UQ held its annual Courting the Greats Ceremony which recognises significant achievements by graduates. 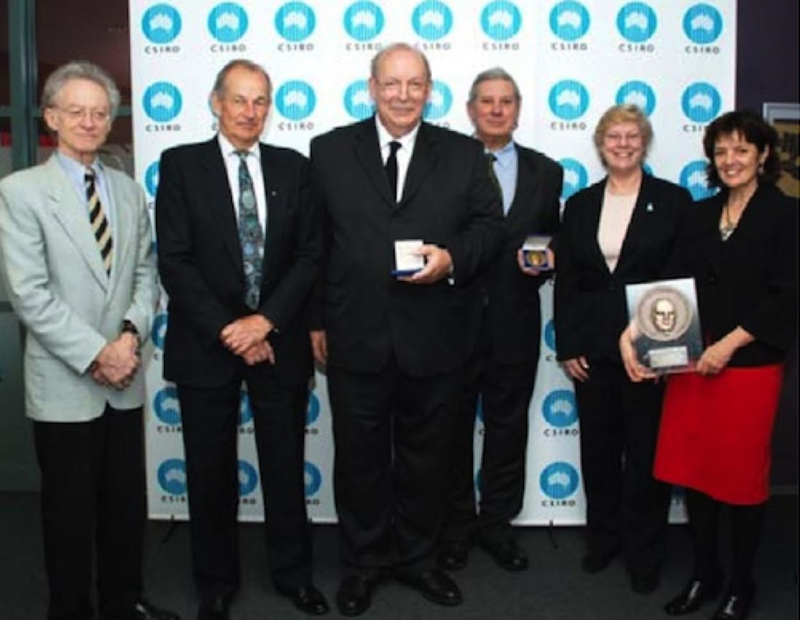 Prof. Rao, who started his life at UQ by residing at Emmanuel College, was recognised as the UQ International Alumnus of the year (full story on MEI Online). Congratulations TC, great news of two great mineral processors. The 10 most popular blog postings in October can be seen below, together with the date of the posting and the total number of comments on the post. Mill Operators Conference '16- how was it for you? We encourage you to share your views by submitting your comments on blog postings. Last month there were over 22,000 page views, so interacting with the blog enhances your international presence by providing you, and your company or Institute, with valuable exposure.